Herman Braun started his company in 1983. 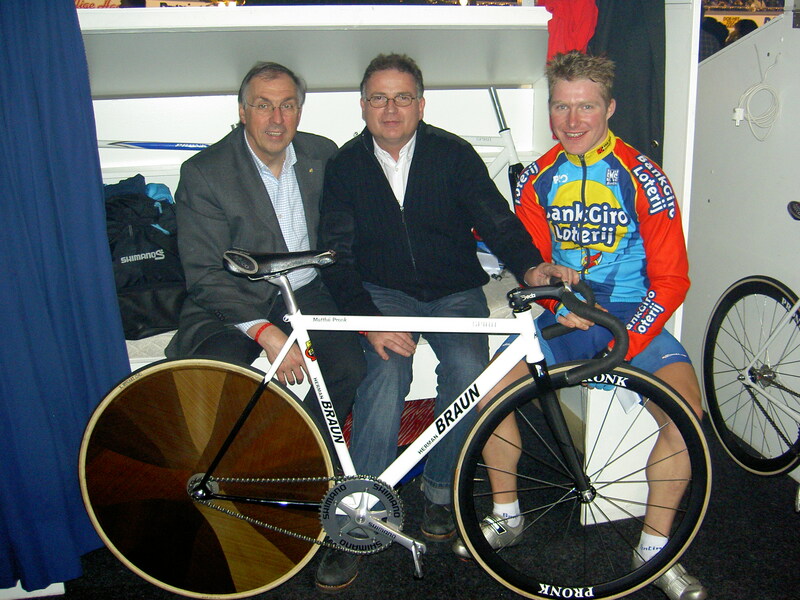 Herman builded his own cycles since 1983 under the brand name HERMAN BRAUN, formerly located at Elementenweg in Spijkenisse. Herman is very well versed in the world of cycling. If prospective He joined Delta PRC in 1969, then he cycled to 1972 as a newcomer. 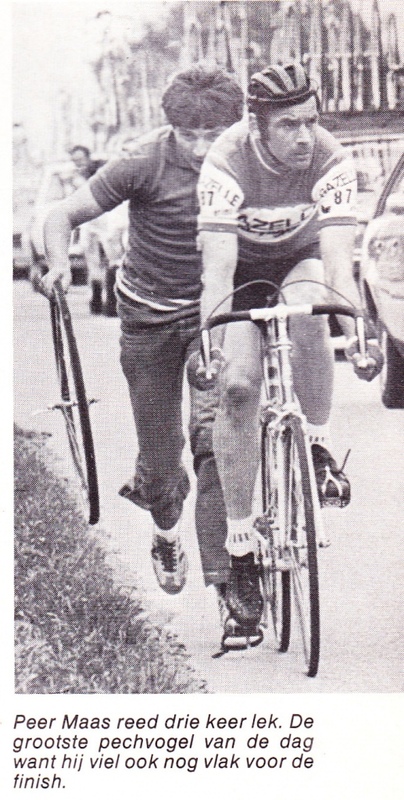 In 1972 he started as a 16 year old in the Tour of Spain as a mechanic at the famous cycling Kees Pellenaars. 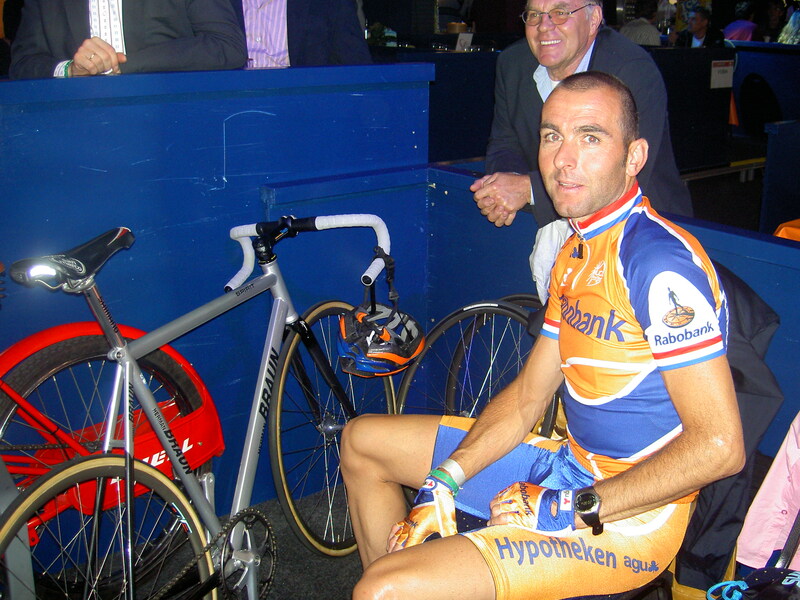 He was also three years as a mechanic in the military cycling team involved, culminating in the World Championchip in Italy. 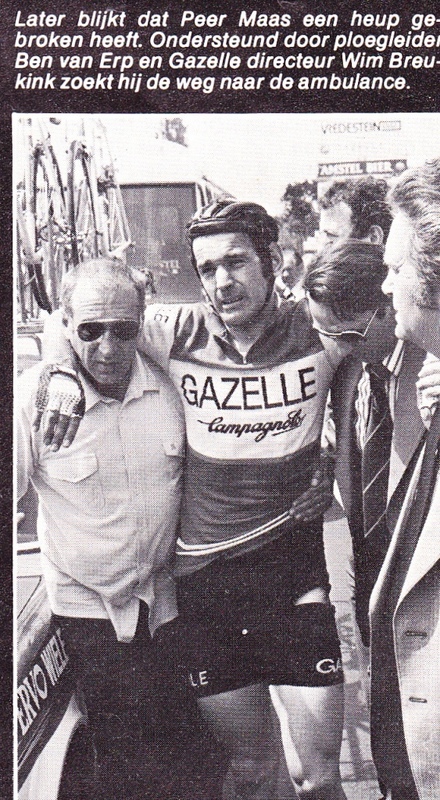 In 1977 Herman changed over to the Gazelle cycling team, where upcoming talents such as Jean Paul van Poppel and Eric Breukink ride. Herman quited late 1985 as a mechanic to be able to fully focus on the progression of his business. 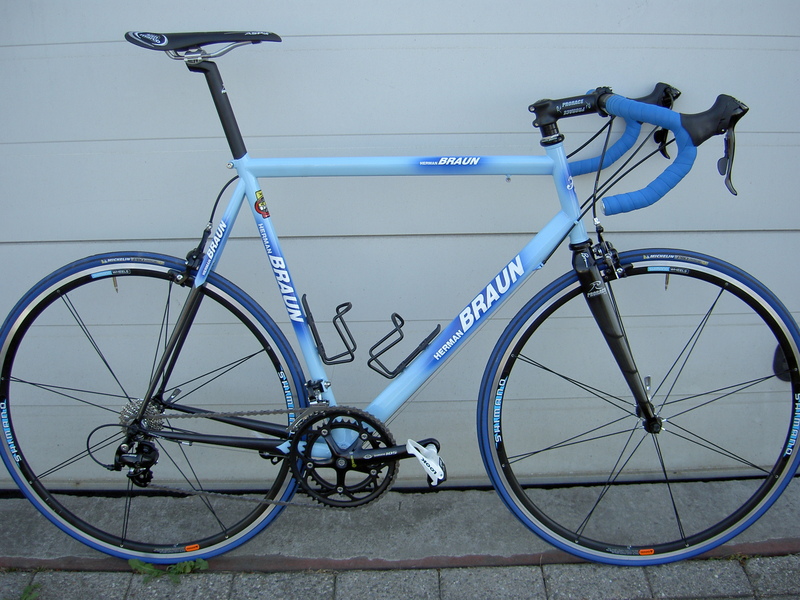 From 18 September 2010, Braun Cycling located at Theemsweg 13 in Spijkenisse. In the ultra-modern workshop, Herman in his son Dave got an excellent partner. 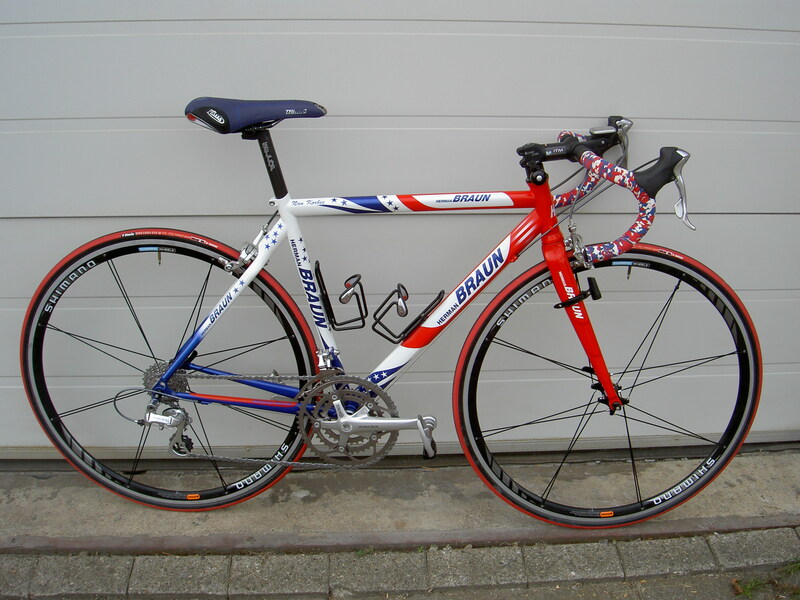 Dave is developing rapidly as a highly skilled frame builder. Through the passion and inspiration of son Dave is continuously invested in new machines to high-tech bicycle frames to design and build. Now, however, an even lighter and stronger material, in particular, light-weight steel and titanium. Meanwhile, we have the most modern frame construction factory in the Netherlands. Where competition nowadays built everything in low-wage countries , we stick to traditional Dutch quality, service and warranty. This is all handmade and key is the wishes of the customer . 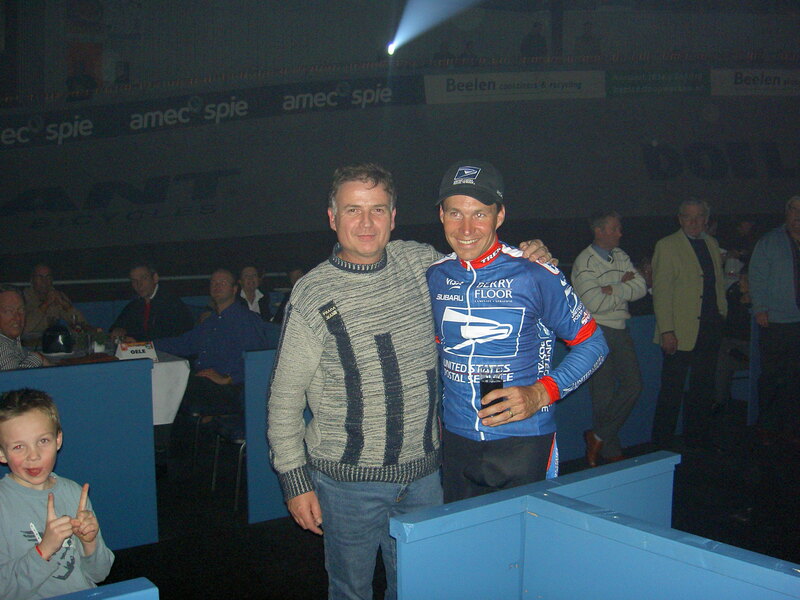 Together they form a team that many cyclist brought back to there cycle. The fun and devotion Herman and Daveradiate in building frames can be found in the quality of their products. A handmade cycle is that each frame by the same frame builders built (Herman and Dave). They have the necessary knowledge and experience developed, but they also have a selection made ​​from special machines to frame tubes to built these frames. There is, of course, from the measurement of the customer very professional proceeded. 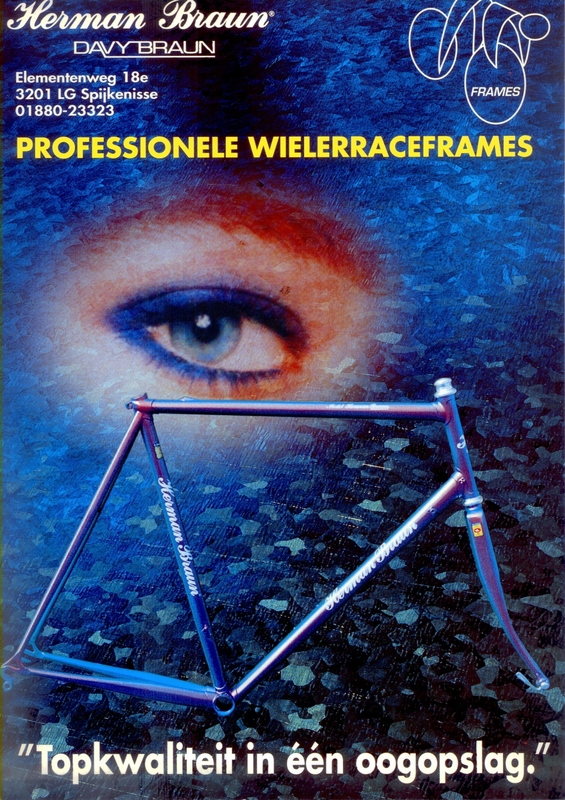 First, a selection of the frame tubes, ie lichtgewicht/comfort- or rigid frame design, with its own unique handling and drivability. Then the tubes to be milled to the correct length with a digital milling machine in tenths of degrees in the angle milled. The frame tubes are manually cleaned and stripped of metal splinters. Thus, there is a perfect connection of all pipes that seamlessly blend together. With the aid of molds, the frame tubes in a mold processed into a frame. All geometrical dimensions used in this template set and checked. Each connection process is done manually and not by means of an automatic welding robot. No, its really handmade! It is so welded that a minimum heat input is required, thus the structure of the metal is not affected. This will improve the mechanical properties of the weld for the better. Locally, the tubes are attached by means of the pulsating tiglassen so at a later stage, the frame can be finished welding. There are then interim quality controls performed using a home-built target table. This is the frame precisely aligned, accurate to tenths of a millimeter. As a result, the wheels lie in one line. Then, if the frame is assembled, each frame until the hundredth accurately directed (with digital measurements) using a special straightening bench. Any deviations, which may amount to tenths of millimeters, due to the various welding processes, are thus eliminated. The bike gives it a perfect steering ability. This ensures a sublime driving with good run and roadholding. For most cyclists is the ultimate lightweight steel frame material. Not only for the cycling enthusiast, but also for the novice and experienced cyclist, cycling who expects his new bike and wants to be assured of a long life compared to other frame materials. The lifetime of aluminum, magnesium or carbon, or a mixture of these materials and / or alloys is simply proven less. Steel is many times stronger and more reliable. Traditionally they build all frames of steel. There were different frame types, complex geometries and a variety of tube shapes. 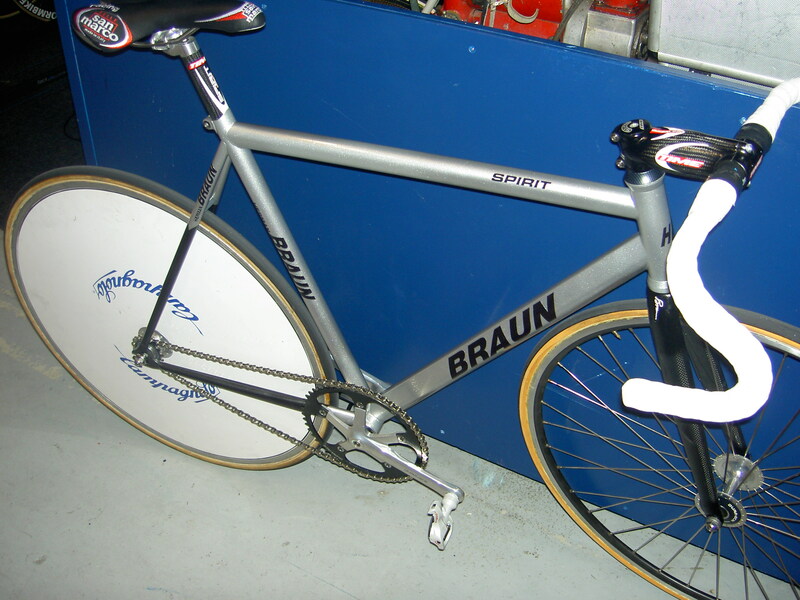 Nevertheless, we can say that the quality of steel frames, built by custom frame builders deliver. We advise all around 30 years a custom made steel cycle, and thus we supply the most modern bike, where you do not have to be ashamed of. Steel has a very high tensile strength and flexibility making it something in terms of flexibility. This ensures that in the event of shocks, etc. frame will not break. Frames of other materials may be somewhat lighter (about 500 grams, or the contents of a bottle) but many times more vulnerable. This will quickly tear or break. If you are looking a bike for years of enjoyment? Then choose steel! tensile: the material stress (diameter / load) where the material breaks. Most metals exhibit flow behavior: When the yield stress (which is lower than the tensile strength), the material will permanently deformed. The yield stress is normative, a heavy load and your frame is crooked! With alloying, heat treatment and cold deformation, the strength properties of alloys are increased. stiffness: If you stress a material, it will under the power/influence deform. As long as you do with the stress remains below the yield point, the deformation is elastic and proportional to the imposed load. The modulus of elasticity is the number that indicates how far a given material deforms. The E-module of steel is 3 times as great as that of aluminum, that is dimensioned for identical structures is that of 3 times as soft aluminum. Butted: frame tubes are provided with a wall thickness adapted to the load. Usually, the tube in the middle and the smallest wall thickness of about 0.2 mm at the ends. more. The reason is that the rigidity of the frame is determined not only by the bending of the tubes, but also by the deformation in the nodes. Do you now the thicker tube ends, you get relatively easily a stiffer junction with a very limited weight gain. The lifetime of the frame will also increase. endthickend tubes are each made ​​and are therefore more expensive than tube of constant thickness. 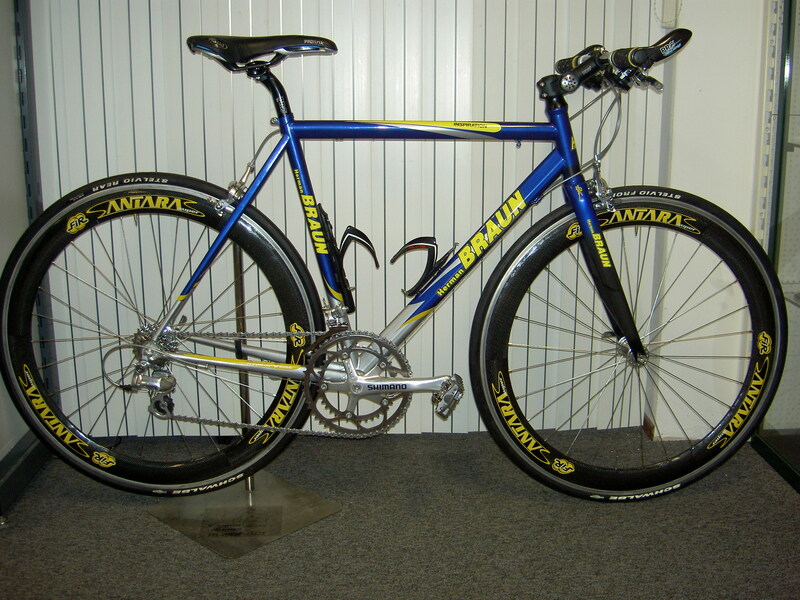 Who says that steel in the bike industry and frame construction is old-fashioned, is wrong. We no longer work with lugs and associated traditional narrow circular tubes. We now use the most modern high-alloy tubes. These are high-quality and high-alloy steels, the average tensile strength up to 1450 NM per square millimeter. Outliers of our top models have a tensile strength of 1650 NM cm2. In addition, we also have a 1250 Nm -2 strength by appropriate alloying elements such C-Mn - Bo - Cr-Mo - Ni - Va-No-and the main component of steel Fe. In terms of alloys is the stiffness value, each frame has a balanced value, without this being at the expense of comfort. Steel provides some resilience to shocks, vibration and if it were not by filters and gives the rider. So you experience a bike (its chemical composition, varying wall thickness, cold drawn tube form) that is better than a frame made ​​from many different materials. By the overside tube shape it can be a tube design with a minimum volume and very small wall thickness (in some places even 0.3 mm.). Thanks to very consistent and homogeneous alloys there are very thin wall thicknesses possible. By combining this with various forms of tubes, there is a light and rigid frame. Cold drawn tubes frame: This technique can be even lighter and thin-walled tubes manufacture, made ​​a sublime lifetime to maintain and without stiffness loss. If the tubes are of the right dimensions and chemical composition, the tubes in the plant and placed in a special oven for some time to a certain temperature heated. This heat treatment is called KET (Kinetic Energy Treatment). Aftertreatment Dedacciai causes the material to its original structure preservation. Partly due to cold forming, the strength properties greatly altered. Different alloys have included the strength, toughness, hardness, stiffness, weldability, corrosion resistance and resilience greatly improved. The chemical composition and the tube shapes, which we have specially made, we can now design frames / compile with a modern look and a modern weight. The tube shape (round oversized) to 44 mm. the bracket conical or triangular design, all forces / stress evenly absorbed, distributed and experiencing the rider ultimate driving experience. Even in the profiled pipes which are different in shape, we apply a full side outer head tube, from the respective outer diameters of 32.5, 36.5, 38 and even 46 mm. with a voice size of 11.8''. 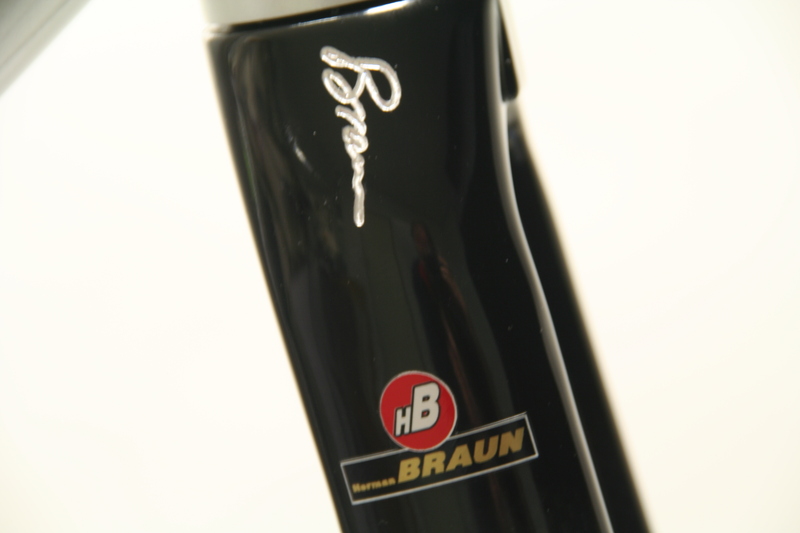 Specifies the diameter of the steerer designed, integrated and semi-integrated head tube even. These models we apply in our high class frames. Even a foreign head tube, used in the connection to the conically shaped fork is suitable for 2 sizes bearings. The so-called tapered we can add to the list. It experiences the rider sublime handling characteristics that are not matched. But the fork stiffness is significantly increased. This provides a tight driving and steering bike that very directly sends. Allows you experience that you have complete control over your bike. Definitely not to be missed is a fully INTEGRATED SEAT POST, or a completely continuous seat tube. This is over the full length around, having an outer diameter of 35 mm. This is "plain", that is to say that the tube is everywhere the same wall thickness. This is the stiffest frame what we can build, very tight, tough and very strong. Together with the high-alloyed Dedacciai EOM 16.5 tubes, which is naturally a very high quality, in combination with the semi-integrated head tube, this is the absolute top under the steel racers. This is a frame, not only designed for the professional, but also for any recreational cyclist who wants and expects a high quality in its size, to the millimeter. ‘Steel is real’ is a common used slogan. Steel has never disappointed anyone.